The US Food and Drug Administration said Thursday that drugmaker Endo Pharmaceuticals must remove its powerful opioid painkiller Opana ER from the market. The agency says this the first time it has asked that an opioid pain medication be pulled due to "the public health consequences of abuse." "We are facing an opioid epidemic -- a public health crisis -- and we must take all necessary steps to reduce the scope of opioid misuse and abuse," FDA Commissioner Dr. Scott Gottlieb said. "We will continue to take regulatory steps when we see situations where an opioid product's risks outweigh its benefits, not only for its intended patient population but also in regard to its potential for misuse and abuse." If Opana ER sounds familiar, it's because it was the drug of choice for many addicts at the center of an HIV outbreak in Indiana in 2015. The drug is about twice as powerful as OxyContin, another often abused opioid. 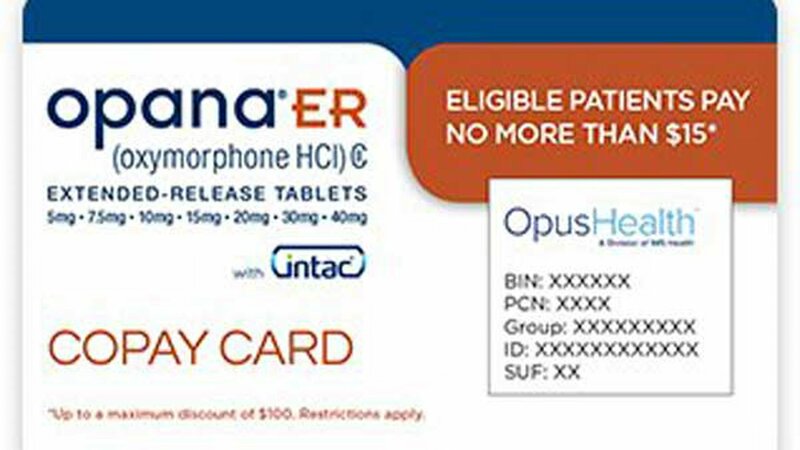 Opana ER, oxymorphone hydrochloride, is used to manage pain severe enough to require daily, around-the-clock, long-term opioid treatment for which alternatives aren't strong enough, according to the manufacturer's website. The FDA approved it for this use in 2006. "My comment is 'wow,' " said Dr. Andrew Kolodny, co-director of opioid policy research at the Heller School for Social Policy and Management at Brandeis University. "This is pretty exciting. This is big news." Though it is a "good sign" for the fight against opioid abuse, he said, "Opana is not the only one that needs to come off the market." Thursday's announcement followed a March vote from an independent group of experts, brought together by the FDA, who voted 18-8 that the benefits of reformulation no longer outweighed the risks. Endo has had other issues with the FDA and the drug. When the company submitted its reformulated version to the FDA in 2012, the agency decided the data weren't strong enough to show that it could "meaningfully reduce abuse," and the agency denied a request to include a label that would describe its reformulation as having abuse-deterrent properties. Endo is reviewing the FDA's request and evaluating all its options "as we determine the appropriate path forward," it said in a statement. "While the benefits of opioids in treating and managing pain are widely recognized, the misuse and abuse of these products have increased greatly in the U.S. As a pharmaceutical company with a demonstrated commitment to the improvement of pain management, Endo feels a strong sense of responsibility to improve the care of pain for patients while at the same time taking comprehensive steps to minimize the potential misuse of its products. Despite the FDA's request to withdraw Opana ER from the market, this request does not indicate uncertainty with the product's safety or efficacy when taken as prescribed. Endo remains confident in the body of evidence established through clinical research demonstrating that Opana ER has a favorable risk-benefit profile when used as intended in appropriate patients."